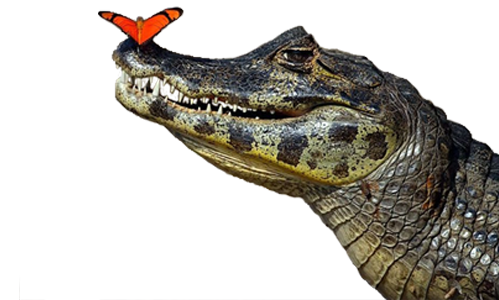 You've finally found it, a REAL AIRBOAT EXPERIENCE!!! NOT JUST ANOTHER BOAT RIDE DOWN THE RIVER AND BACK!!! 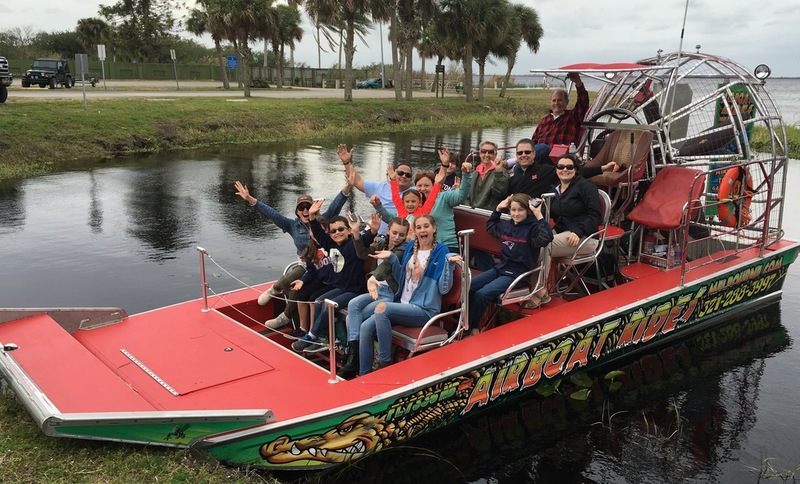 If you're looking for a real airboat experience in the Central Florida area it doesn't get any more fun and exciting than AirboatRidesMelbourne.com! At AirboatRidesMelbourne.com we believe that when you go for an airboat tour that you should experience a real airboat adventure off the beaten path. Captain Mike Tipton grew up hunting and fishing on the Upper St. Johns River basin so he knows it like the back of his hand and he wants to share it with you! Your safety is our primary concern but our goal is for you and your family to have a fun and exciting airboat experience while skimming across the river and swamps and to share as much information with you as possible about the alligators, wildlife, birdlife, fish and plant life that abounds on the marsh. RESERVATIONS ARE REQUIRED FOR ALL RIDES AND TOURS! PLEASE, COMPARE OUR PRICES AND REVIEWS AND WE HOPE YOU'LL FIND THAT WE ARE THE BEST DEAL ON THE SPACECOAOST FOR YOUR MONEY! Four adult minimum on all tours below! We can usually pair you up with others if you have less than 4 in your group. Each additional person over 4 would be at normal rate. $45 for Adults / $40 Children (under 12) Plus tax. (Infants under 2 free.) Add 3% for all credit card transactions. Skim across the river and marshes into the 120,000 acres that make up the Upper St. Johns River basin. Get an in depth look at the wildlife, marsh birds, trees and plants that make up our beautiful wetlands and learn about our unique river system. This is our most popular tour! Add $10 per person to above rates for all tours departing at 5:00 o'clock or later. At AirboatRidesMelbourne.com we can provide custom tours for your family or corporate outing. We also provide transportation on the marsh for weddings, celebration of life, video production, etc… so whatever you want to do on the marsh we can usually provide the airboat(s) for doing it for up to 50 people! (We can do larger groups by multiple trips.) Both of our locations provide picnic tables under covered pavillions and charcoal grills for your convenience. Add 3% for all credit card transactions. Our goal is to give you the best tour on the Spacecoast for your money! At the captains discretion, if WE have to cancel due to inclement weather or mechanical issues, you will be issued a full refund or you're welcome to reschedule. THERE IS NO CHARGE IF YOU CANCEL 24 HOURS BEFORE YOUR RESERVED DEPARTURE TIME! HOWEVER, THERE ARENO REFUNDS IF YOU CANCEL WITHIN 24 HOURS OF YOUR RESERVED DEPARTURE TIME or if you (or anyone in your party) doesn't show up. Unfortunately, we don't have time to resell your seats. No exceptions, your credit card will be charged for the seats that you reserved. YOU CANNOT ASSUME THAT ALL TOUR BOATS ARE INSPECTED ANNUALLY BY THE UNITED STATES COAST GUARD FOR YOUR SAFETY OR THAT THE OPERATOR IS A USCG LICENSED CAPTAIN OR THAT THEY HAVE LIABILITY INSURANCE AND LOCAL LICENSES. JUST BECAUSE THEIR SHIRT OR CAP SAYS IT OR THEY CALL THEMSELVES CAPTAIN DOESN'T MEAN ANYTHING EXCEPT THEY OPERATE THE BOAT! VERIFY THEIR CREDENTIALS BEFORE BOOKING AND ASK TO SEE THEM BEFORE BOARDING THE BOAT!! !